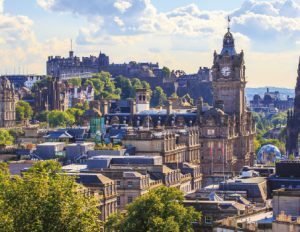 Join us in Scotland’s famous, beautiful and historic capital city later this year for Brigade Conference 2018 - from Friday 31st August until Sunday 2nd September. 2018 has been designated as the ‘Year of Young People’ by the Scottish Government – a year to celebrate young people’s achievements and value the contribution they make to their local communities. For the Brigade, of course, every year is a year of young people, however conference will take up the Year of Young People theme. The conference takes place at the Hilton Grosvenor Hotel, in Edinburgh (Haymarket), and will feature a packed programme with workshops, worship, opportunities for fellowship, as well as the AGM. The Hotel has very good transport connections to both Edinburgh airport and for rail. We anticipate this year’s event to be very busy, so would advise registering and booking accommodation in plenty of time.